Home / Get the last of these Albums while you still can! 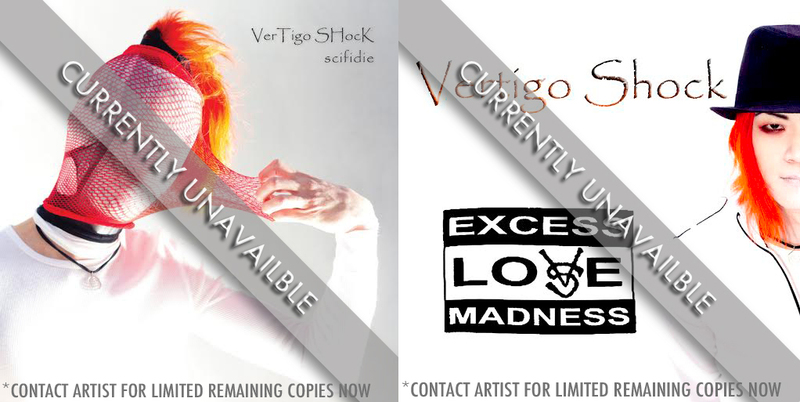 In anticipation of Vertigo Shock’s new album currently being recorded, the classics “Excess Love Madness” and “SciFi Die” are officially OUT OF PRINT! Contact the artist directly at Contact@VertigoShock.com to secure your copy now before they’re all gone! The few copies we have left are the last of them!